Hi there! 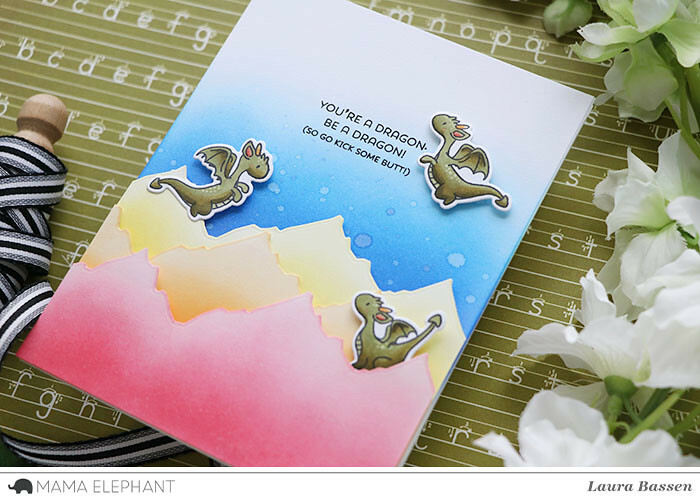 Laura here and today I have a project to share with you featuring the adorable Dragon Wishes stamp set along with the Kingdom Trio-Creative Cuts. To begin I die cut three panels with the Kingdom Trio-Creative Cuts and blended each of those with distress inks. 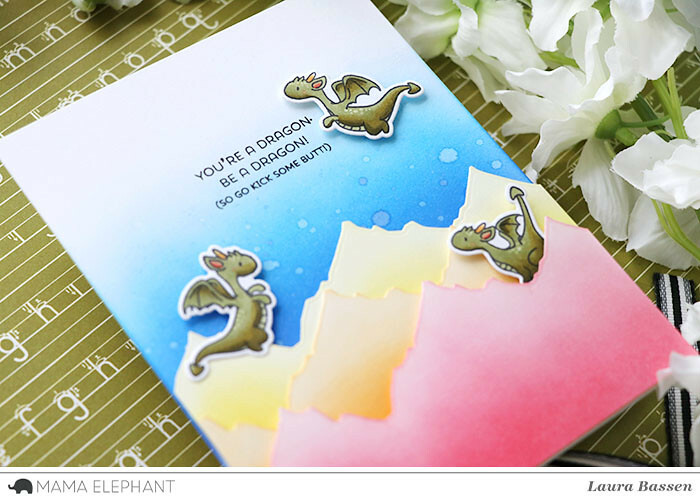 Then I blended the card base to give it a soft sky background. I also flicked the blended background with water. I colored the images from Dragon Wishes with Copics and die cut them using the coordinating Dragon Wishes-Creative Cuts. I added a sentiment from Dragon Wishes. I'm getting tired of all of your enabling. too much talent in one person is not fair!!!! 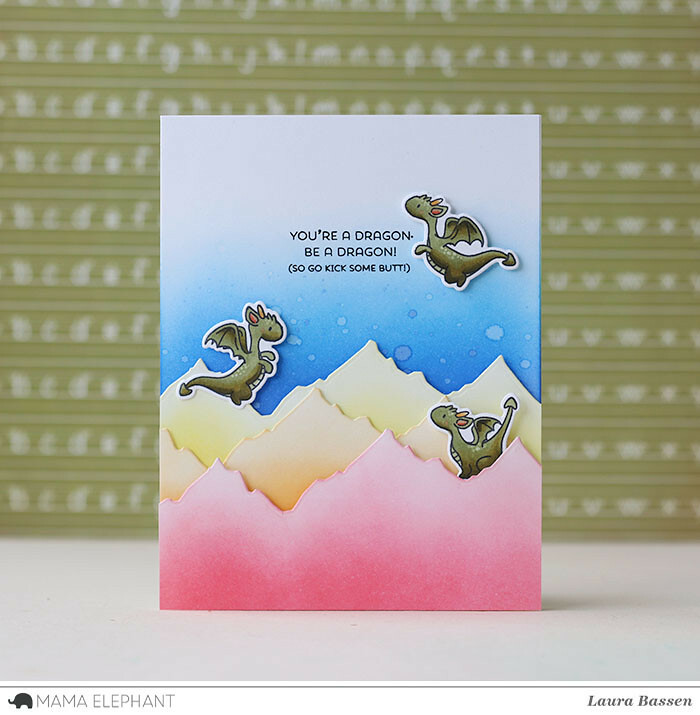 Laura always knows how to bring images to life...this is such a CUTE card! Love these dragons! Awesome card!